Musicians are notorious for being hard to buy gifts for, mostly because they have such particular tastes, and because the best music gadgets are difficult to find. But this doesn’t mean it’s an impossible task. The market is filled with plenty of great options and new music artwork that will surprise even the most exigent friend. These hidden gems are creative and unique, and many of them offer plenty of features that will make any musician’s life so much easier. You will be pleased with the available variety, and you will surely find things such as guitar gadgets, which suit any aesthetic. If the musician in your life is an avid guitar lover, then for sure he or she is always destroying or losing guitar picks. This is where this product saves the day. It is a DIY pick maker that includes four starter strips, which allow the user to create as many models as he or she would like to create. 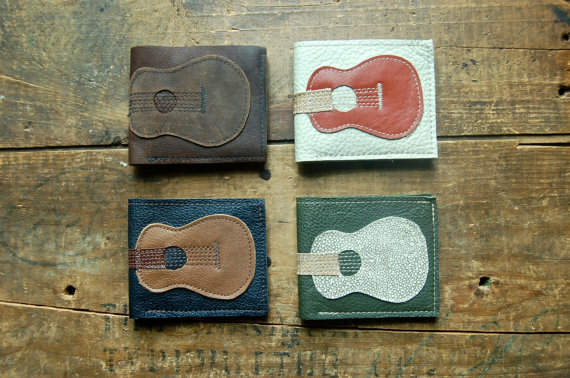 The pack also includes a pick holder, meaning guitarists will never misplace their favorite playing tools. It is a unique gift to give, and it will surprise the receiver since not many people know that it is possible to create your own picks with just a few simple moves. An accurate clip-on tuner is a rare find on the bubbling market, especially a model that can be used with more than one type of instrument. That’s why this model is so revered because it is all that and something extra. 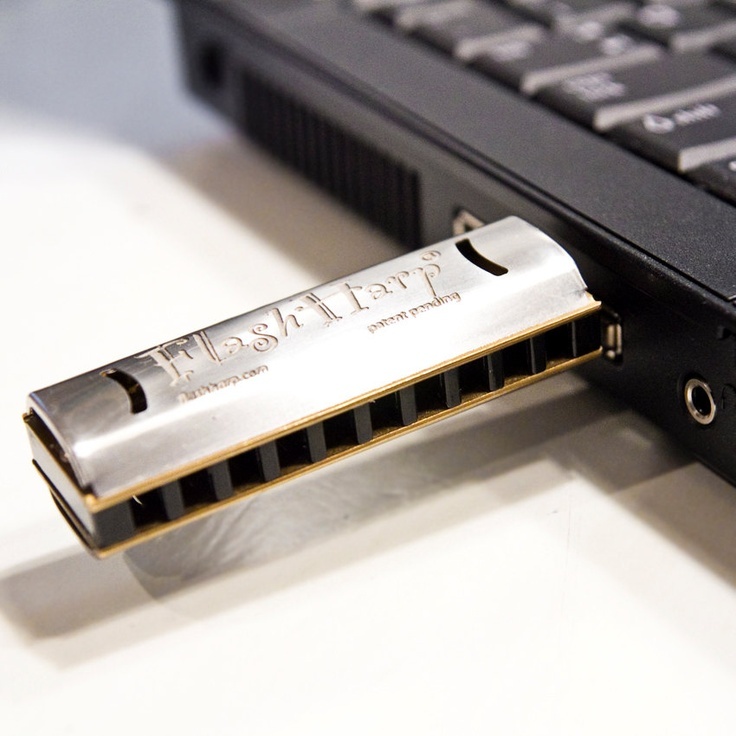 It has a compact design that is easy to attach to any stringed instrument. It also has a discrete style, allowing it to be hidden behind the headstock, and the materials it is created from are light so the product won’t add any dead weight to your musical instrument. And more importantly, it allows you to tune the strings based on their particular vibration accurately. Every music lover will appreciate this next item. 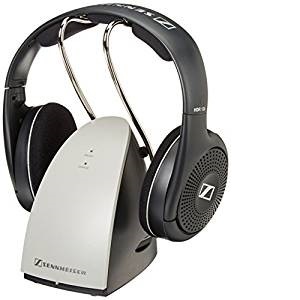 The wireless headphones offer a very pleasurable experience to the listener because they are comfortable to be used even for an extended period and because the sound output is crystal clear. Moreover, since they are wireless, no cords will tangle. The package also includes a charging dock, to aid the charging process and to make everything as fuss-free as possible. The body of the headphones is light, and it can connect to all smart devices including iPhones and TVs. Also, you can leave your phone in a room and move to another with the headphones on, and the sound will still be rich and powerful. This is a gift for the one who can’t live without music, and who has a playlist ready for any situation. It will allow the person who uses it to play the freshest tunes anywhere, for up to eight hours. The device might be small and compact, but the sound is not any of those. The sound output is loud enough to revive any party since it is powered by two amps. It has a young and trendy design, and the 5-driver system will never fail to deliver the highest quality, even when used for many hours in a row. It also has a built-in MP3 player and a voice recorder. One thing a good guitar player can never run out of is high-performance cables. That’s why this is such a thoughtful gift. The cable has a sturdy build, and it comes with an oxygen-free copper cover and a high-density braided shield. It is designed to deliver accurate sound and to minimize the interference and white noise. It was created to be used on stage or in a recording studio, so you know it won’t fail right before a live performance. Despite its strong construction, the device is still flexible, and it allows for a lot of tension before breaking. A portable guitar effects pedal board is something every musician should own. And this product as portable as all the other premium models on sale, especially since it is lightweight without giving up an extended lifespan. It comes with a canvas bag, to allow you to transport each piece safely from one place to another. The pedals secure quickly to the board, which also supplies them with power and control buttons. This way, you won’t need any accessory other than your guitar. The bag also comes with a special place where you can keep all your cables while on the go. If you’re looking for an elegant and eclectic gift to offer to the music lover in your life, this product can be an excellent option. The dice can be used in many ways, and are not just for decor. They can help you make decisions when you don’t know what to choose, they allow you randomize the notes you put together, or they can help you be better at improvising in everything you create. The dice display the chromatic scale and are designed with musicians in mind. It is not something you can find in any music store, that’s why this product is a gift that will surprise any artist. Toolkits for musicians are products that can save any artist in an urgent situation, especially if the instrument breaks right before a concert. This kit can also be used not only in emergency situations but also for regular maintenance. The care system comes with the carrying case, which is there to protect all your tools. It can help you change strings, clean the instrument, set intonations since it includes a microfibre cloth, wipes, a string cutter and a 6-in-1 screwdriver. If you purchase each tool separately, you will end up paying much more, which only makes this model even more valuable. The Beatles have had a significant impact on many artists throughout the years. If you want to make any fan happy, then this anthology is the way to go. This international best-seller is filled with details about the members’ lives, which are not so well known by the public. It’s a story about their lives in Liverpool and about how they reached fame, and, ultimately, about how they created their art. The book includes memories from the members, anecdotes from their manager and their producer. It promises to be a warm and honest book, which will please a real fan’s thirst for Beatles facts. A high-quality stand is a gift that will never run out of style. And this product from Manhasset delivers just that – quality and extended life. The item will be a lifelong partner for any musician who likes to be comfortable when playing music, and it will also help him or her stay organized. The durable product is easy to use, and it can be adjusted to fit any desired height. It is made from heavy-duty materials, and it features the “Magic Finger Clutch” which gives it a one-hand friction grip. The model can be compacted almost instantly, so you can store it easily. With sought-after features that other products on the market don’t offer all the time, this model can be a long-awaited gift for any musician out there. It has a large screen that is ready to be read, it is functional, and it allows the user to tune any instrument with strings or keys in any hall finely. It offers value for its money, and the high-sensitive microphone will never embarrass you by tricking you into playing out of tune instruments in front of a public. It also features a jack that shows you if you have to tune the instrument even while you are performing. Finding cool gifts for musicians is not an easy-breezy adventure. Indeed, it can be nice to have the opportunity to look a wide display of music related objects that you can choose from. But if you lack the knowledge and don;t know for sure where to start your shopping spree you might find it a tad difficult. Because many of these musicians know everything about their area of interest and already own several items in their special collections you risk giving them something that is not cool enough for their taste or lacks certain features. Don’t worry if you’re not sure what gifts are more appealing to musicians because any reference to making music is always appreciated. If you don’t want to be alone in the process, you can always rely on our team of experts that have already done their homework. After studying several indicators such as usefulness, personal style and level of experience, our colleagues have managed to come up with a useful buying guide. If you read these paragraphs you’ll see for yourself how easy shopping the coolest presents for musicians can be. Even though musicians are extremely picky when it comes to things that help them make better music they are prone to certain brands and style so it’s really just a matter of being one step smarter. Given the variety of items available for sale, you won’t have major problems finding something interesting if you take a look at out features mentioned below. Depending on their level of experience, musicians have different needs of products that help them develop and improve their skills. Therefore, before you go and buy something establish if he or she has already an important background in the music industry or just trying to evolve from a newbie. A musician that has just started to learn the tricks regarding this wonderful and creative profession needs as much support as possible. For example, every musician knows that good music is a result of inspiration and work. Because inspiration is by far the most important they need a special manuscript paper where they can write and compose music and lyrics. Even though some prefer the computer, there’s something unique to write down your thoughts when the moment inspires you. You can lend a helping hand to your aspiring musician friend by purchasing a chord wheel. This is basically a tool that helps them establish a connection between chords and keys. Learning which chords sound better together improves their confidence and skills in playing different musical instruments. No matter their music experience, all musicians need a good pair of headphones. Thanks to their eternal obsession for music, they tend to have more than one set. For listening to music they’ll choose a pair that is lightweight and has a slightly more powerful bass. When in the studio, musicians enjoy working with headphones that are larger and more balanced in terms of bass. Even though headphones are great tools for beginners and advanced musicians, a dedicated pair of studio monitors is an excellent gift for a more experienced one. You’ll find plenty of good deals over the Internet. Just keep in mind to choose monitors that reproduce music as accurately as possible. According to the best gifts for musicians reviews, items that are needed all the time and don’t lack practicality are the ones that are favored by all musicians. This makes your job a whole lot easier because you know that all musicians need an acoustic microphone isolation shield. This incredible tool keeps the ambient noise to a minimum and reduces the stray reflections from the surface of the room. You can’t say you are a musician and not own a LED sound activated T-shirt to match your style when going to parties, clubs, and concerts. These popular items among many music fans come with lights that have a removable battery pack that you can remove if you want to convert the T-shirt into a regular one or for cleaning purposes. Moreover, it is outfitted with an adjustable volume sensor that you can switch on or off. Gadgets are a must-have in the world of musicians. Given the fact that many of them own a tablet or an Ipad, you could use this information and purchase them a special dock that can transform their device into a complete recording station. People that create music and want to share some of them are in constant need of a good and powerful portable external hard drive. Due to their love for collaborations, they won’t say no to units that can be easily packed and carried to the gig locations or studio. Look for hard drives that don’t weigh much and can fit inside a pocket. Although the physical size should be small, the internal memory capacity must be as high as possible. The worst part when playing a concert show is that you must be able to hear your music tones over the noise made by the audience. If you don’t have acoustic filter earplugs you’ll find it hard to perform at your best. So a good pair of these earplugs is able to decrease the overall volume and offer you a perfect sound fidelity so you can still be able to hear what you’re playing. Guitar players will love the idea of getting a cool pick punch that enables them to make their own picks out of used credit cards. Respectable guitarists are prone to using guitar gadgets so make sure to check out some interesting smartphone or Ipad holders that allow them to read their music sheets. Besides, you can help them set up a small studio if you offer them a Bluetooth foot pedal that lets them achieve the perfect tonality. Gifts are a perfect way of telling something that they mean something to you. If you have someone in your family that is inclined or works in the music business you must search for an item that matches their personal style. This rule applies to friends, as well. For modern tech-savvies, you can get them a wearable physical sound system that converts sound into high fidelity vibrations that can be felt directly. Classic fans will be more than pleased with a retro Stylophone that lets them pitch-bend different organ voices.